An intrepid former student of The Sixth Form College, Solihull put his university place on hold to take a Gap year and complete voluntary work in Zimbabwe. 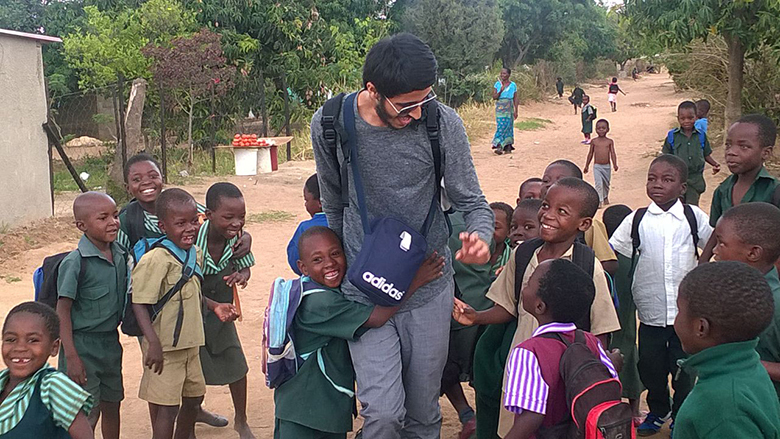 Ibrahim Rashid left the College last summer after completing his A level and has been spending 12 weeks in Zimbabwe, volunteering with ICS (International Citizen Service). 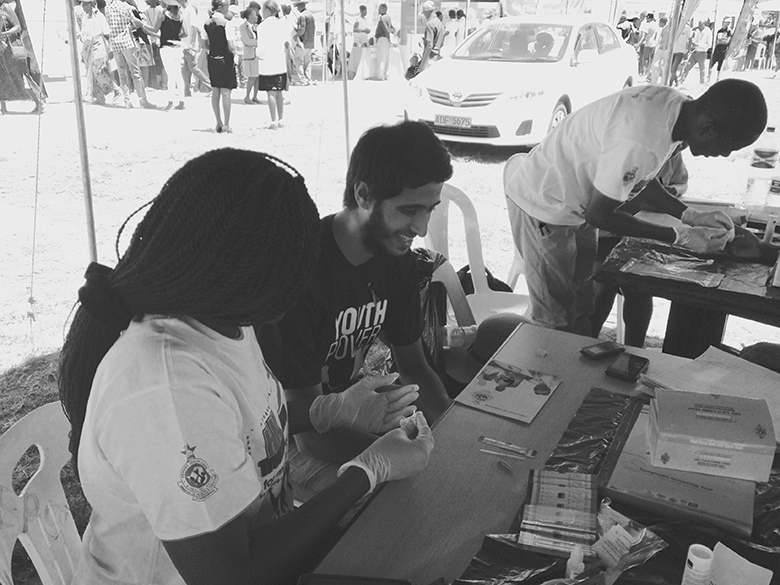 He is working with the Restless Development programme in Zimbabwe and working with a team of volunteers on sexual and reproductive health and rights programmes, civic participation events and helping with health days and education sessions in schools. He has been sharing photos of his activities, including work on an awareness campaign for World AIDS Day. He was nominated to represent Restless Development in a city called Kwekwe, around 100km from the capital Harare. He also shared photos of his work with the local children in classes of 30-40 in one small room. He has also had some time for relaxation and he and others enjoyed a safari on horseback, on which they managed to get extremely close to zebras and giraffe. The Restless Development programme is for young people aged 18-25 years of age and will see Ibrahim develop valuable team work and communication skills whilst benefiting a developing country. Ibrahim got involved after nearing about ICS from friends and family. Ibrahim received funding from the College’s Terry Kitson Award for Service to the Community. Every year the bursary is awarded to students who can demonstrate volunteer projects abroad or in the UK and it helps those students to pay for the costs associated with it. 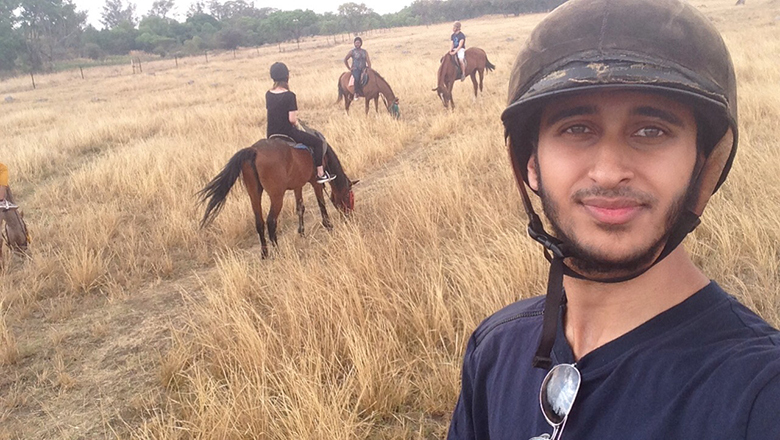 Ibrahim has been writing a blog of his exploits in Africa, which can be read online.